The African Union (AU), European Union (EU), and United Nations (UN) are under increasing pressure to justify the effectiveness of the peace operations they deploy. Justifying this effectiveness requires precise assessments based on systematized and evidence-based data. Per now, however, this data is lacking, a gap the global research community could help address. On 31 May and 1 June 2017, the Norwegian Institute of International Affairs (NUPI) hosted a seminar that brought together thirty participants from the AU, UN, the Norwegian Ministry of Foreign Affairs, as well as research institutes and think tanks from across the globe. The aim of the seminar was to share insights on how best to research the effectiveness of peace operations and to explore the establishment of a network that could seek to address this gap. The seminar discussed how to research and measure the effectiveness of peace operations. It looked at current definitions and conceptualizations of effectiveness, and it discussed the varying perceptions stakeholders have of the effectiveness of peace operations. The group also explored the options for establishing a network dedicated to research on the effectiveness of peace operations. The seminar agreed on the value of establishing such a network, with an aim to produce knowledge that is both academically valuable and relevant for policymakers. Hence, it considered different organizational modalities for a potential research network, with regards to governing principles, funding, and how researchers could undertake joint research projects. 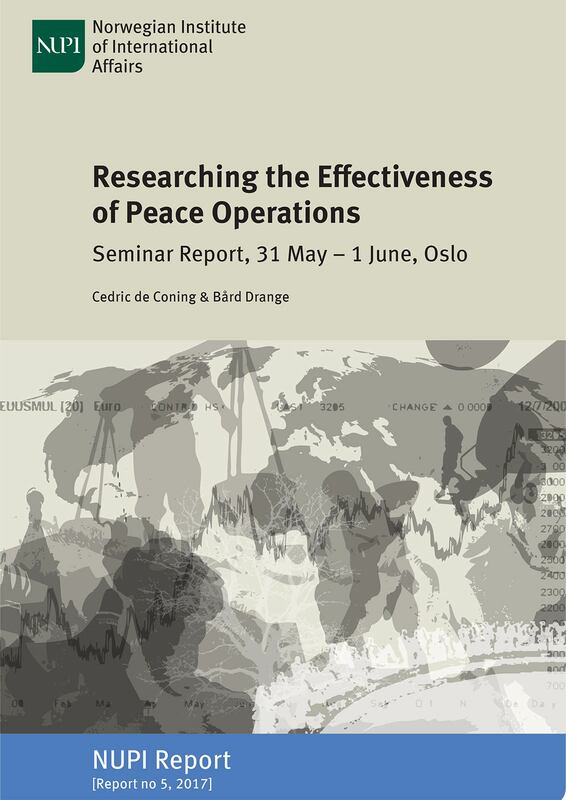 This report summarizes the key conclusions and recommendations from the seminar, and lists what the next steps may be for the establishment of a research network on the effectiveness of peace operations.